This cornbread isn’t your typical “eat it with chili” kind of cornbread. It’s more of a delightful breakfast sort of bread. 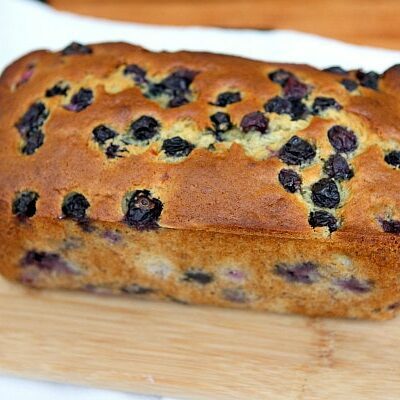 And it’s stuffed with plenty of blueberries! 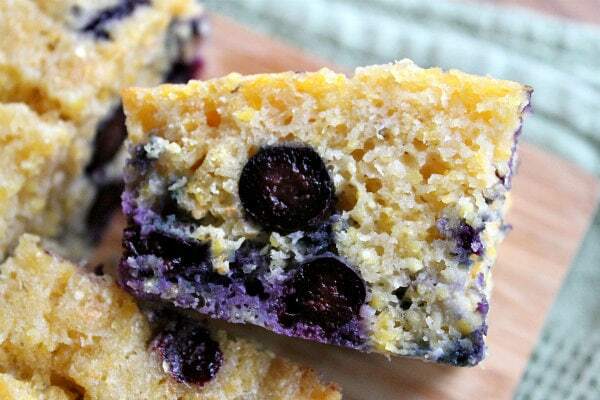 The blueberries are mixed into the batter along with coarse ground cornmeal, making the texture more interesting, slightly crunchy, and incredibly moist. I made a simple honey- cinnamon butter to spread on top (1 stick softened butter + 1 tablespoon honey + 1/2 teaspoon cinnamon). Another good combo = maple butter (1 stick softened butter + 1 tablespoon maple syrup). 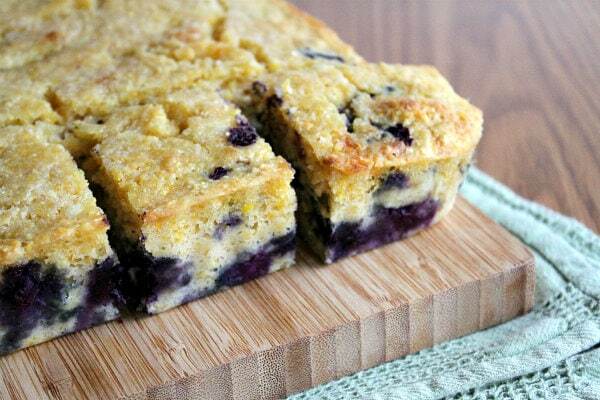 Think of it as a spin on the classic coffee cake- like Blueberry- Vanilla Cornbread Coffee Cake. 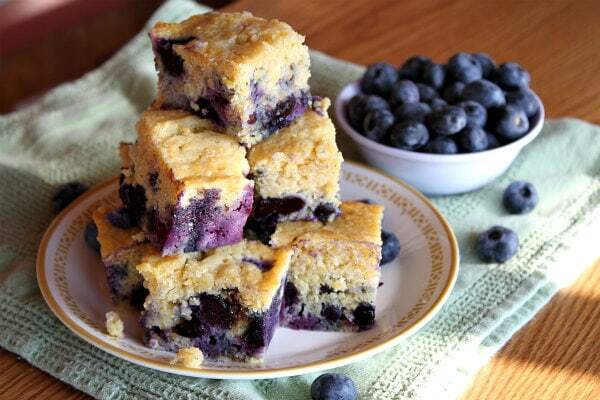 It’s one you’ve gotta try this summer when blueberries are easy and inexpensive to find. And you don’t really have to go to Massachusetts to find them… but I wholly recommend it (since I love this place). Are you lucky enough to live in a place where you can go blueberry picking?! Maybe the baking temp should be raised to 350? I followed directions exactly and mine is a little too dense-not as light as I expected. I made this subbing 1 cup whey (leftover from cheesemaking) and 1/4 vanilla yogurt for the buttermilk. Simply delicious! One of the best cornbreads I’ve had. Great crumb, nice and moist, and keeps well. can this be made as muffins too? This recipe turns out so well, and is absolutely delicious. I’m making it for the third time now. I’m out of the coarse ground polenta I used, so am trying it with half yellow and half white regular cornmeal. The gritty crunch is part of the appeal, but I have to make do in a hurry. Thanks for a real treat! Great recipe! I used sprouted spelt in place of the AP, and used a combo of blueberries and raspberries. Sprinkled some coarse sugar on top too. Baked at 350 (after reading some people had an issue with the temp) and it was perfectly done at 45 minutes. Thanks so much! Made for a lovely breakfast. 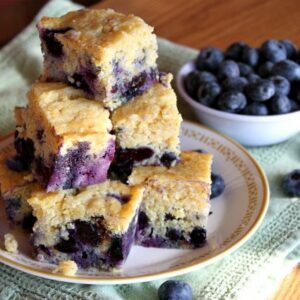 I made the blueberry cornbread and the batter taste was amazing. But I had a little problem with the timing and wondered if the oven temp was correct at 325 degrees for 40 minutes., I tested it in the center and it seemed dry but then I cooled it on my baking rack for 15 minutes and when I turned it to remove from the pan there was a large area that was still wet and it was actually falling out of the cake onto the counter. I put it back in the oven for 375 for about 10 more minutes but it was already out of the baking pan so it was not a sure fix. Can you comment on whether the temp for the oven could be higher to 350 or 375 and/or the time increased to 50 minutes or more. I would definitely bake it again, but want to be sure I avoid this mishap. This looks great, Ive never tried maple butter but its a revelation! I recently found a similar cornbread muffin recipe (named something like Breakfast Cornbread). 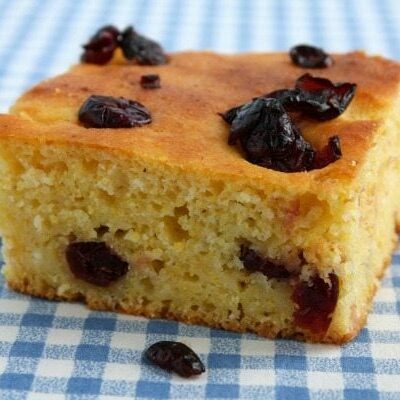 Based on comments in the review section, I added some craisins and orange zest to the sweet cornbread batter. OMG, they were so good! My son (age 7) made them for the fair and got a blue ribbon! I’d definitely recommend trying it! Really nice color! I think it is great idea the butter on the top! Moutwatering! Hi, I just made a double batch and it’s wonderful. I expected it to be sweet but it’s not. It reminds me of Sunday dinner at Grandmas. Do you think this will freeze well? I have not tried freezing it yet. 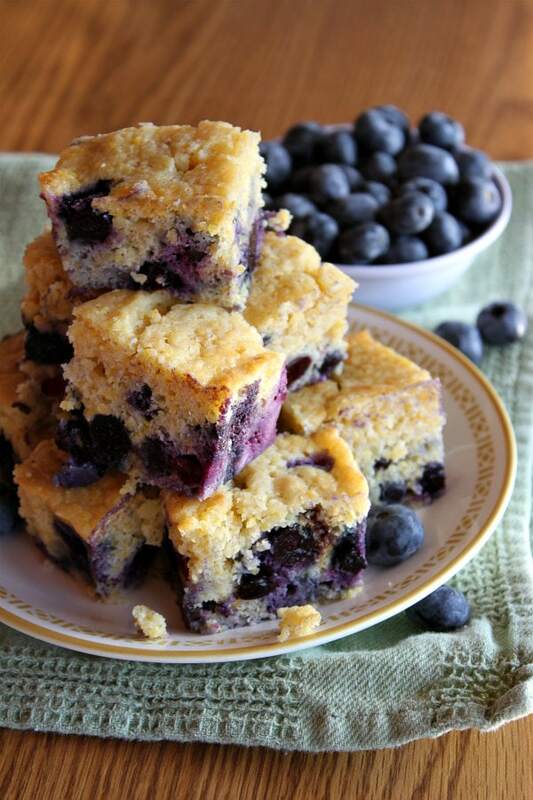 I can never have enough blueberries this time of the year. 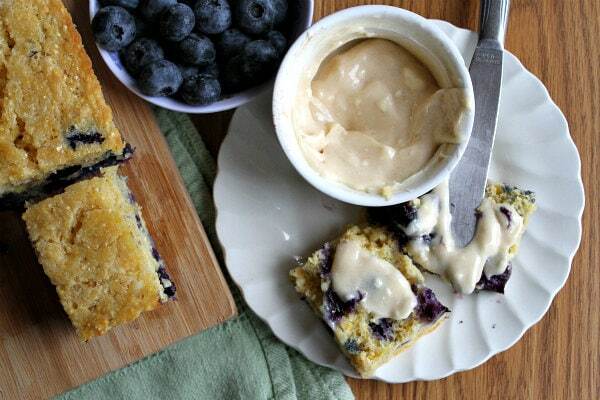 Love love your twist on the classic cornbread and the flavored butter, oh yum!